You can stop smoking quickly and easily with hypnotherapy, it has a proven success rate, estimates vary between 65-95%. 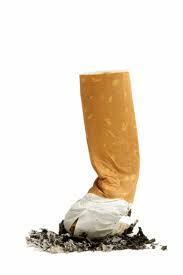 Establish a date for becoming a Permanent and Lasting Non Smoker!!! Establish goal setting, behavioural and lifestyle modification to begin immediately. Smokers die an average of 7.6 years earlier than non-smokers. Smoking causes chronic heart disease, lung cancer, respiratory disease, peptic ulcers, throat cancer, birth defects, early menopause, high blood pressure, social isolation, and complaints from friends and relatives who want you to stay alive for a while longer. It also costs millions in lost earnings over a lifetime, let alone the thousands burnt up in smoke in the first place. If you are a smoker, you probably know all of the above facts and hate being reminded of them. I know I hated it when I smoked and wanted to quit, the grim facts only made me feel less adequate, more like a failure, and more like smoking. There are still millions of smokers in this country and tens of millions worldwide and it is estimated that probably 90% want to stop smoking. If only they knew it is very straight forward; I’ve seen it work many, many times. Yes Vicki I am ready to become a permanent and lasting non smoker! What is the Success Rate for Smoking Cessation? Hypnotherapy can help stop smoking, it has a proven success rate and you can stop smoking after one or two sessions, it is very straight forward. However as people are not always straight forward, in fact we can be complicated beasties and where smoking is very often habitual, it can in other cases be masking symptoms such as stress, in that case it may be wise to tackle the other symptoms first. The other contraindication for treatment is where people are not really ready, are stopping for a partner, think that there will be no effort involved and so on. It is difficult to tell exact numbers as us therapists don’t get follow up from every client, however the ones I do hear from are generally successful, so even if I were to make the assumption that the others were not, that would still put the success rate up way over the 60/70% mark and some of the research I’ve read puts up in the 80/90% bracket! The main thing is that YOU are ready to stop and feel that hypnosis is the tool that will help you forward. Blog – 10 Things That Will Happen To Your Body When You STOP Smoking!